The MMET NASA Micro-g NExT team of undergraduate students was one of 25 who advanced to the testing phase in NASA’s Micro-g Neutral Buoyancy Experiment Design Teams – Micro-g NExT. 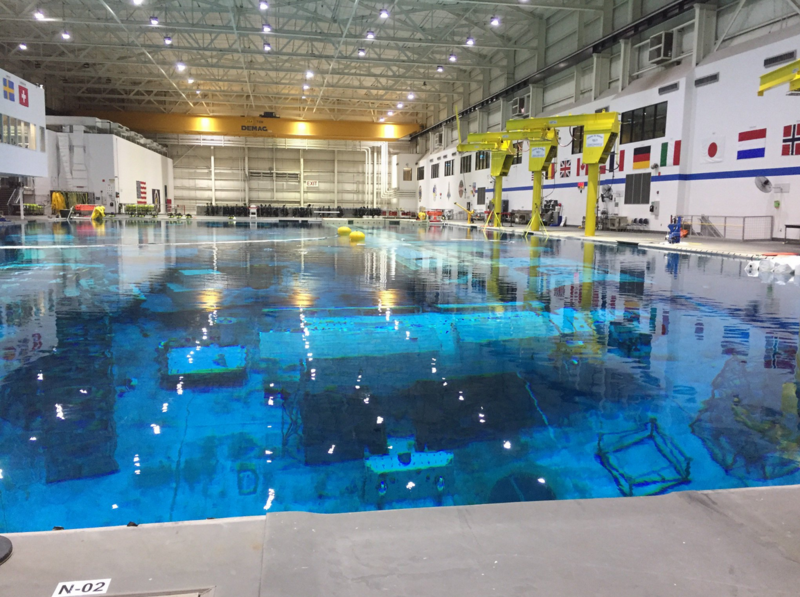 They spent several months building their prototypes and preparing for the test, which took place in NASA’s Neutral Buoyancy Laboratory (NBL), a 40-foot deep pool where astronauts train for spacewalks. This is the third consecutive year that an RIT team has been selected to travel to Texas to participate in the challenge. The RIT team is working on a Module Leak Repair System (nicknamed NEBULA) that will be used to repair small holes between 0.5” - 1.0” in diameter.